Hi! I have enjoyed your website! 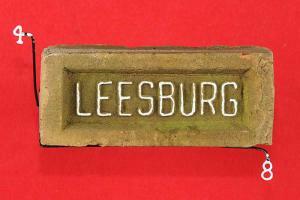 I noticed you had no company named for your brick imprinted "Leesburg" This brick was fired by the Leesburg brick company in Leesburg Texas.